The San Francisco Maritime Museum is a popular attraction in the Fishermans Wharf neighborhood. 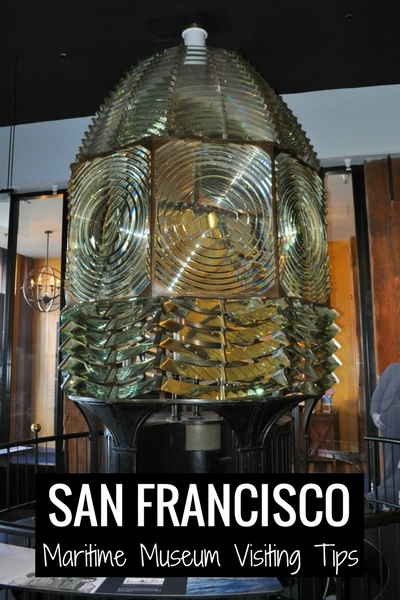 It's just one of the museums found in the San Francisco Maritime National Historic Park. It's located inside the gorgeous, historic white bathhouse on Beach Street. In addition to visiting this gem, make sure to stop by the Visitor's Center on Jefferson Street. Inside, you will discover the real story about those that made their living on the water here. It includes educational exhibits on the history of the area. Some of the exhibits are hands on with additional videos and other interactive elements. 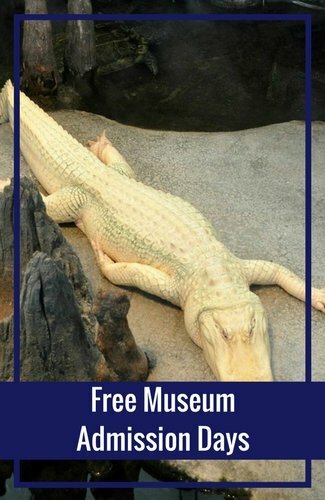 Another great thing about both of these attractions is that they are free to visit and open daily. The official museum is in the old white Aquatic Park Bathhouse Building on Beach and Polk Streets. Step inside to check out their gorgeous WPA murals which were recently restored. 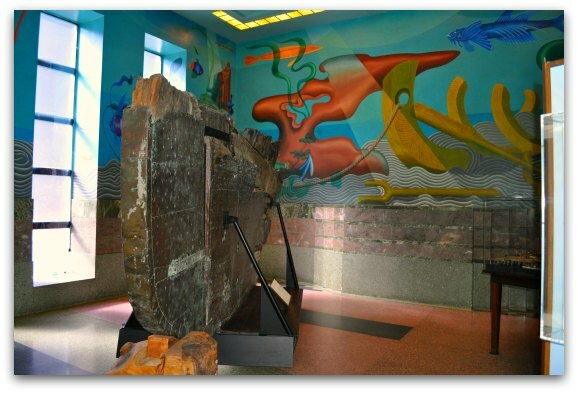 These murals were originally created in the 1930s by artists Sargent Johnson and Hilaire Hiler. They also have a small collection of pieces. At times, they will also have some interesting temporary exhibits. A visit here will usually last about 30 minutes. ...and the Hyde Street Pier. 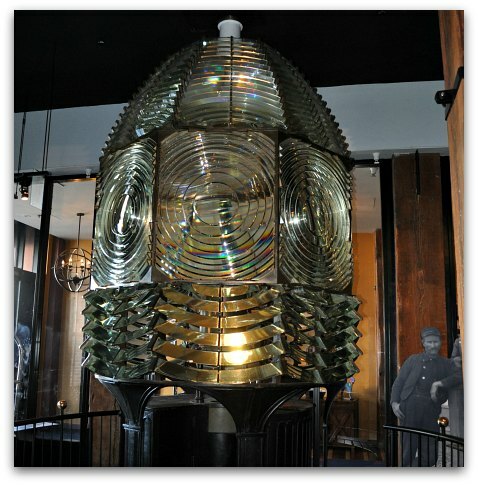 When you walk into the new Visitors Center - an extension of the San Francisco Maritime Museum - you will be greeted by this old lighthouse light. It's the only time I've seen one so close up. It's fun to watch it spin around and to learn more about these amazing - but mysterious - lights. 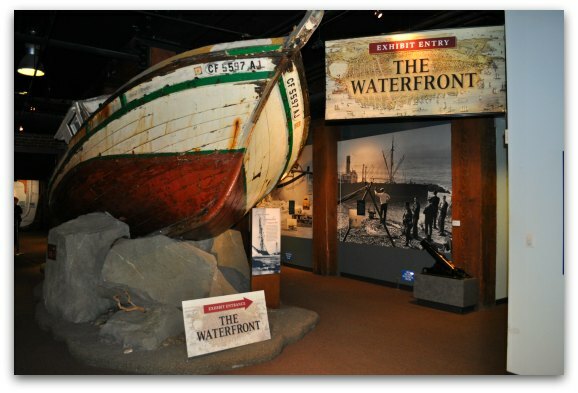 After you are done in the entry way, you will move into the Waterfront Exhibits in the San Francisco Maritime Museum. 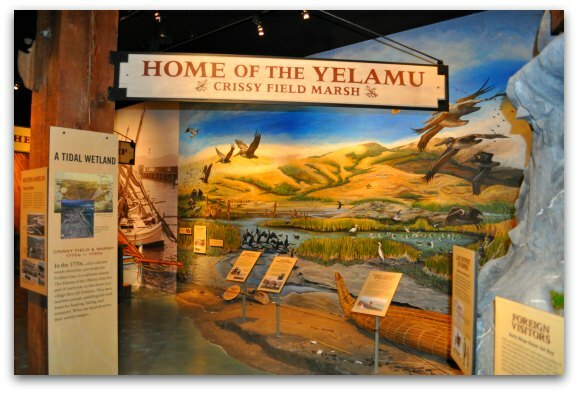 This is where you learn even more about the men and women who worked on the waters along the San Francisco bay. Here are a few other pictures from my visit. This is an early view on Crissy Field. It shows all of the original wildlife that lived here and a few important historical facts. 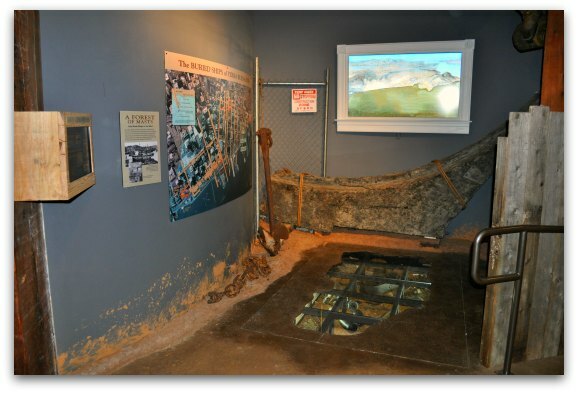 This exhibit showcases the history of some of the ships buried below the streets of San Francisco. You can also see some great, old pictures of some of the boats and ferries that called San Francisco home. Your entire visit to the San Francisco Maritime Museum will take around an hour to an hour and a half. 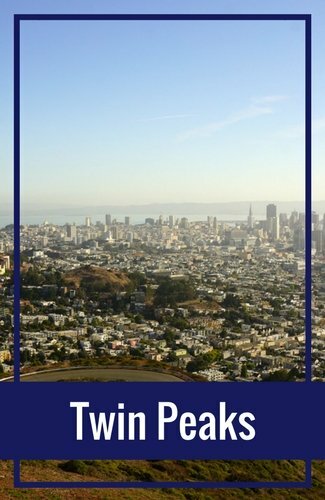 This includes visiting both buildings and spending a little time taking pictures in Aquatic Park. The San Francisco Maritime Museum (in the Aquatic Park Bathhouse Building) is located at 900 Beach Street. It is open from 10am to 4pm daily. The Visitor's Center is located at 499 Jefferson Street and the corner of Hyde Street. They are also open daily from 9:30am to 5pm. Both are free to visit. 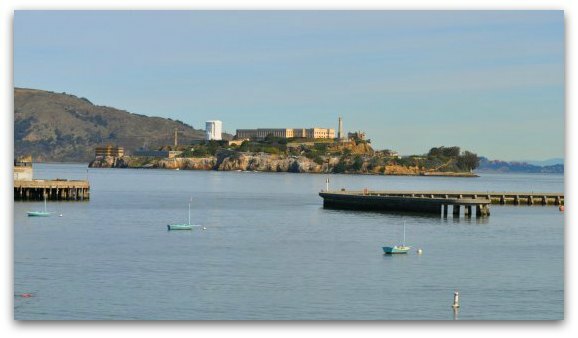 As I mentioned above, the San Francisco Maritime Museum and the Visitor's Center are both part of the San Francisco Maritime National Historic Park. 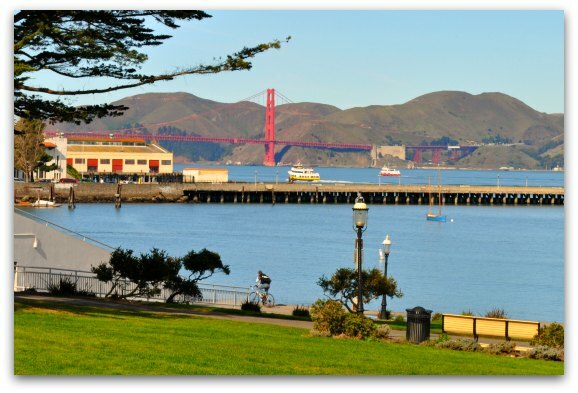 Other attractions that are part of this park include Aquatic Park, the Aquatic Park Pier, and the Hyde Street Pier. 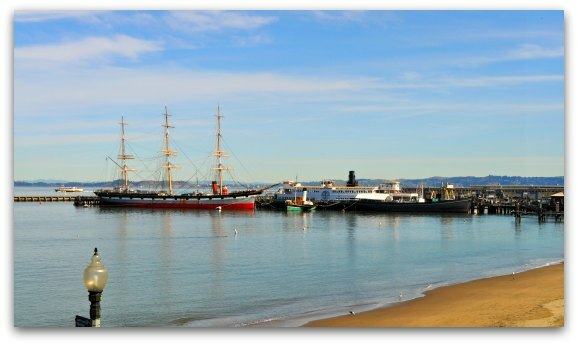 The historic vessels of the San Francisco Maritime National Historic Park sit in the water at the end of Hyde Street. You will find seven vessels here and three are still open to visitors. You can either stroll along the Pier for free and check out the vessels from the pier or you can pay a small fee to see them on the inside. 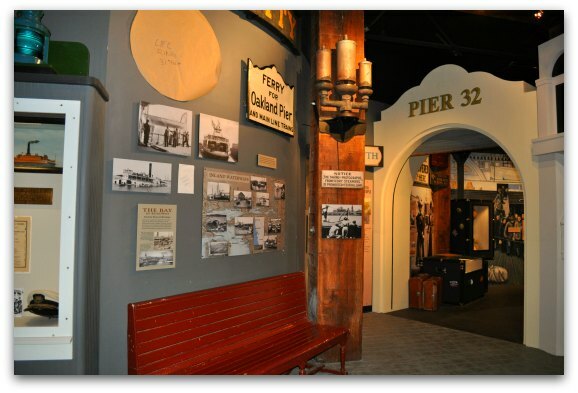 The Hyde Street Pier is open daily and welcomes both paid and non-paid visitors. You can easily walk from any location in Fisherman's Wharf over to the San Francisco Maritime Museum. If you plan to drive to the district, here are a few places you can park within just a block or two of both the museum and the visitor's center. 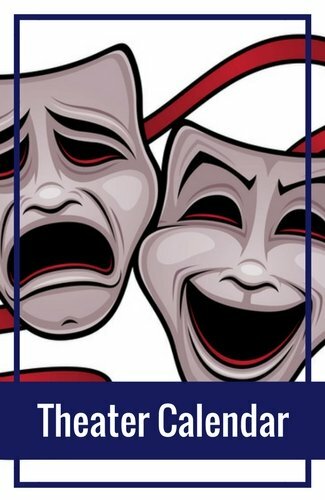 Note that parking rates can change at anytime and will sometimes increase during special events. The pricing below is an estimate so you can get an idea on what it will cost to park near the San Francisco Maritime Museum. Ghirardelli Square Parking: Right across the street from the old bathhouse is Ghirardelli Square. They have parking in a garage inside the building. Parking here is $5 for the first hour and $8 every hour after with a maximum daily rate of $35 to $40. Anchorage Square Garage: Just a couple of blocks away is Anchorage Square. You can park here all day with rates starting at $3 for every 15 minutes. The daily rate changes based on the season and runs from around $40 to $50. It's open 24 hours a day and is at 500 Beach Street. Fisherman's Wharf Parking: Another garage that is about three to four blocks away is the Fisherman's Wharf Parking Garage at 550 North Point. Rates start at $10 for the first hour and $5 for each additional 30 minutes. The daily rate here ranges from $25 (up to 12 hours) or $60 (up to 24 hours). 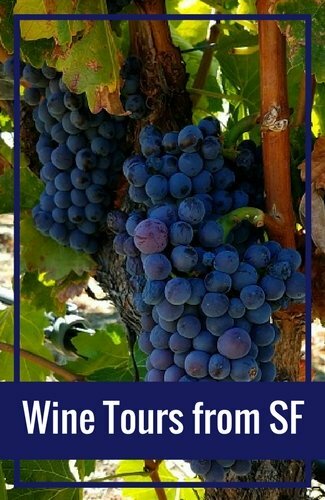 In addition to visiting the San Francisco Maritime Museum, make sure to check out some of these other fun Fisherman's Wharf activities. Pier 39: On the eastern side of The Wharf, you will find Pier 39. On this revitalized pier, you will find free entertainment, shops, restaurants, and several fun activities such as the 7D Experience and a mirror maze. Bay Cruises: One of the top activities in Fisherman's Wharf is the 60-minute Bay Cruise. 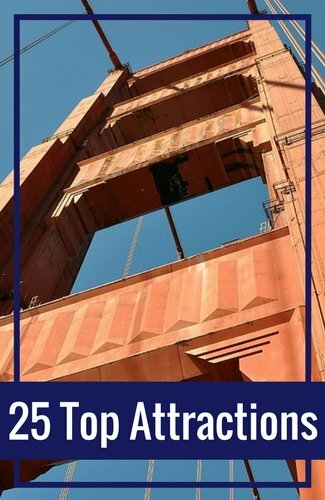 On this boat ride, you will cruise under the Golden Gate Bridge and around Alcatraz as you learn more about the history of both of them. Find tickets at up to 50% off on Goldstar for these cruises. Aquarium of the Bay: One of my favorite places to stop each time I'm near the San Francisco Maritime Museum is the Aquarium of the Bay. It's a lively aquarium with all the plants and animals that live in the SF Bay. 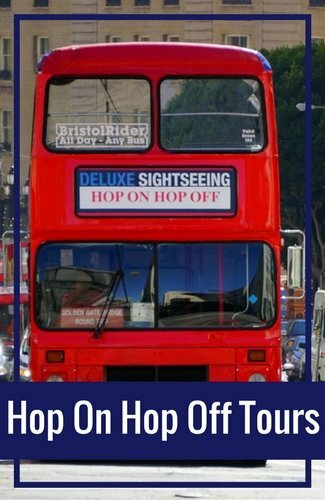 Pick up tickets at a small discount on City Sightseeing.com. All Fisherman's Wharf Activities: In addition to these fun activities, you will find more than 50 other things to do here too! Fishermans Wharf is also one of the most popular neighborhoods for people to stay in when visiting San Francisco. Most hotels are close to the action. There is also plenty of public transportation, so you can easily get to other parts of the city. Although there are plenty of hotels to choose from, there are a few that stand out. 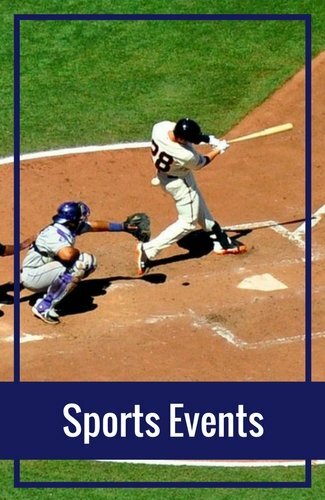 Read on to find some of my favorites. 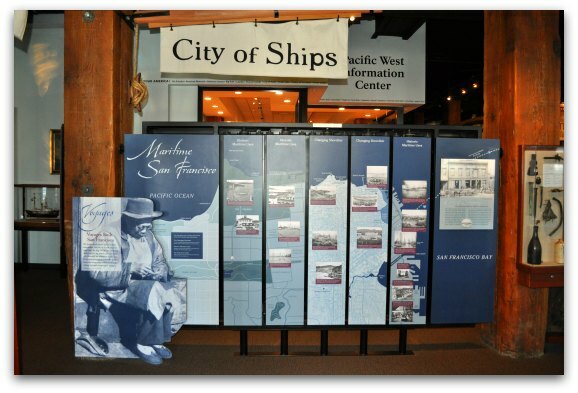 Anything else I can help you with as you plan your visit to the San Francisco Maritime Museum?